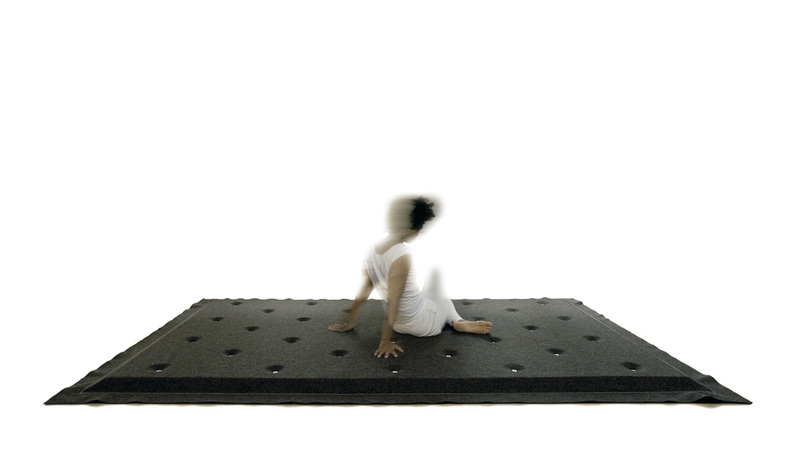 This three-layered padded carpet of latex foam between two layers of felt is sewn together and dotted with 32 buttons similar to a mattress. Very comfortable, it can be used to relax, sit or sleep. Made in collaboration with the Swiss carpet manufacture Ruckstuhl.